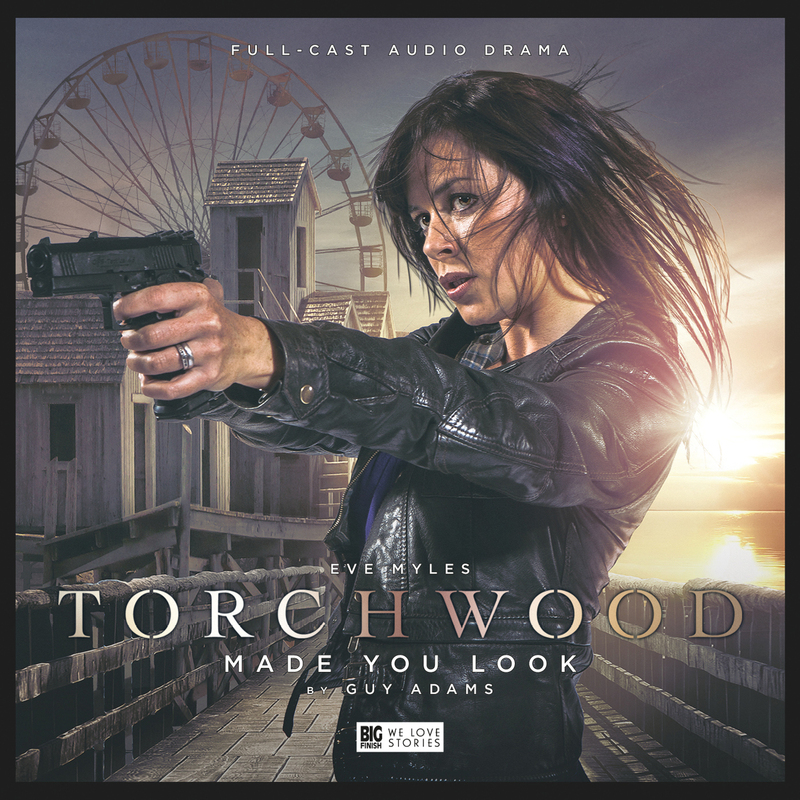 Time for a round-up of the latest Big Finish Torchwood releases and my first review since Indie Mac User became an official reviewer for Big Finish (fanfare and bunting released!). Unlike the 50+ year run of Doctor Who, Torchwood doesn’t have as many gaps to be filled in once you get into the action. Yes it would be nice to know Jack’s mysterious past as a time agent and where he went in the time after Ianto’s death and before Miracle Day; and what happened after Miracle day for that matter (ok, there are a few) but my point is, how Ianto’s character got over his loss and became a more central character and Jack love is a big gap. This story elegantly covers this. Ianto was a somewhat withdrawn character in the earlier adventures so it was nice to see him fall off the rails and turn to drink in his local in this story. One of my favourite of the new Torchwood audios was Fall to Earth, which gave another side of Ianto. With everyone else not around he came into his own and could be funnier and more outside the box, this story continues that work so well. Stories and details about himself seem to pore out against his will almost in his emotionally fragile state brought on by grief and aided by the welcoming barmaid Mandy (Melanie Walters). Mandy reminds you of any chatty barmaid in a pub who welcomes her locals but she shows even more kindness to Ianto and you believe that Ianto would open up to her. This keeps the story moving a pace, but never feels forced or rushed. You believe Ianto’s change and his motivations for coming out of himself again and ultimately being more than he ever was before. Things of course start to go wrong when Captain Jack walks into the bar and we are lead to wonder if there is more to this pub and landlady than meets the eyes, but hey, it wouldn’t be Torchwood if not. This is a really enjoyable listen and even by the high benchmark of Big Finish and their Torchwood range is a real highlight. I give this one 9/10 Sonic Screwdrivers! Then there is Made You Look. I will preface my following comments by saying that it is precisely my love of the Big Finish Torchwood’s and the high standard that they have cultivated that Made You Look falls just a bit short of. It’s not bad by any means. Eve Myles is as always superb as Gwen Cooper and she is ably backed up in this one by Matthew Gravelle as ‘Darkness’ and Marilyn Le Conte as Mrs Rhodes but it just doesn’t give me the same ‘thrill factor’ the others in this series so far have. Lets start with ‘Darkness’. It is a monster that feeds off you if you look 3 times at it. Gwen seems quite drawn to look at it twice, but then aside from some tricks it pulls doesn’t seem as drawn the 3rd time. It also feels very similar to other monsters. Maybe a mix between the Word Lord from Big Finish and the Silence and Weeping Angels from Doctor Who on TV. They come up with some really interesting tricks for Darkness to use, but these are mostly employed near the end. I feel like there was maybe a more interesting story in here of Gwen getting lost in a world where she didn’t know what was real and what was not. The set-up of the town that has been fed off till it is empty is a good one and smacks of classic Doctor Who and Torchwood in feel and is a good way of reducing your cast for a Torchwood audio but it does sometimes feel a little empty as a story. The last half where Gwen and Mrs Rhodes are wondering about to avoid Darkness and use his energy feels like it could do with more action. I feel like Gwen being reminded of how strange the things they deal with are has been done before and although both ladies give great performances I just wanted these scenes to be shorter to keep up the pace. I was also slightly confused at Mrs Rhodes at one moment being trusting off all and taking everyone at face value, then in the next moment saying she isn’t a people person. This felt a little contradictory. Finally I felt the ending was something they could have done all along really and was maybe a bit contrived just to end the story. I know it may sound like I am trying to make up for this story not being one of my favourites, but I would once again say, despite my comments above, this is a fine story. I’m just so used to Torchwood on audio being the best stories. This falls short of that. It reminds me of what I call popcorn movies. They are a fine spend of 2 hours, just probably not the ones you would rush to see again. This is that but with 1 hour of audio. This one gets a respectable 6 / 10 Sonics! 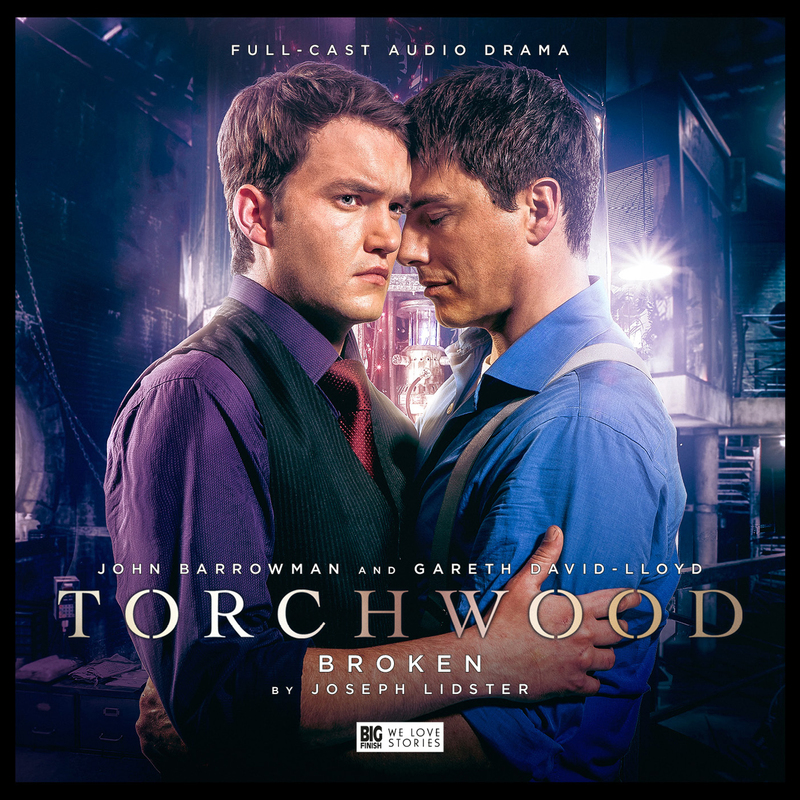 You can here Gareth David-Lloyd talk about Broken and much more here in the latest Gallifrey Stands Podcast. Check out all the latest Big Finish news and reviews on our site here. ← David Suchet cast in Doctor Who Series 10!